The idea of creating Mindful Makings came about from The Underswell’s Derek Sabori and me sitting down and talking about sustainability and how we can help spread the message, especially in the surf industry. 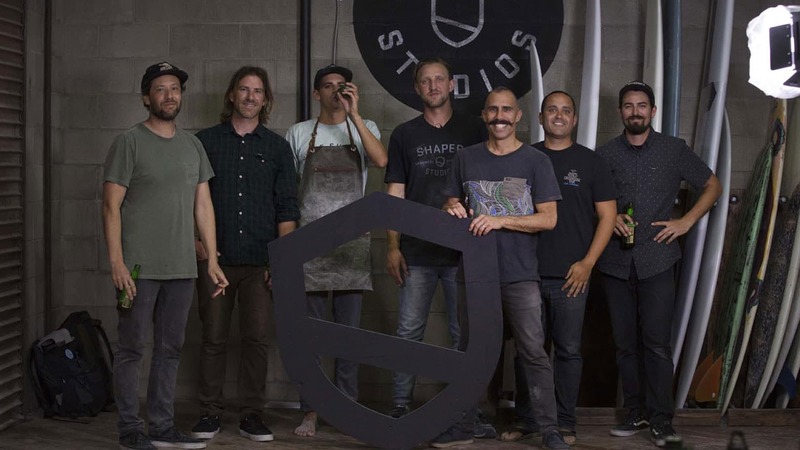 During this time, Volcom was hosting the 2016 TCT Global Champs at Trestles and Nate Peracciny, Volcom’s sustainability filmmaker, was there producing a True To Trestles series for the event. Derek sat down with Nate and told him the idea of producing a short film about making an eco-friendly surfboard with Entropy products. 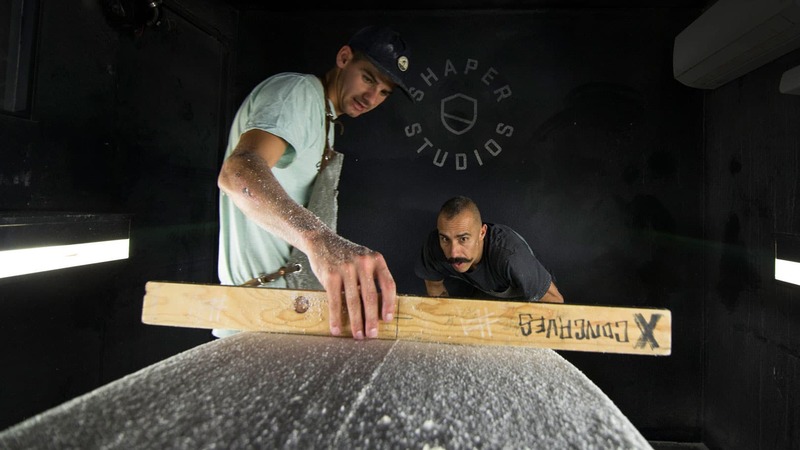 I had already been building a relationship with Chris and Trevor over at Shaper Studios, so it made perfect sense to wrangle everyone together to see how we could possibly make today’s most sustainable surfboard. Derek wrangled Volcom’s EVP of Marketing Ryan Immegart to take place in the shaping, and organized Nathan Peracciny and Kyle Toth to shoot and edit the footage. I put in some calls to Marko Foam to donate a couple of Recycled EPS Blanks, along with JPS cloth to donate the fiberglass, and we at Entropy Resins threw in whatever resin was needed for the project. And the rad thing is, Shaper Studios was previously using a standard epoxy resin, so this was a great trial run for them to sample out some sustainable Entropy Resins and really put it to the test (which they loved and are now exclusively using Entropy Resins for all their production and classes). So, there it was, everyone was in and we were ready to shape some sustainable boards! 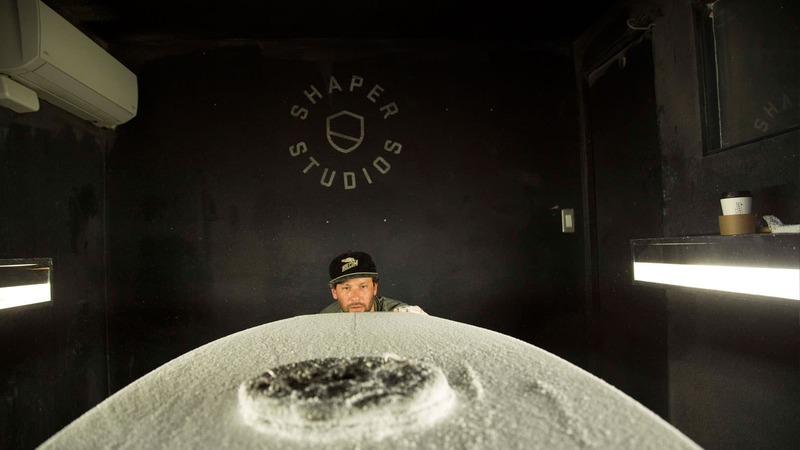 We all met down in San Diego at Shaper Studios one afternoon and got started. After I gave the guys a quick overview of the benefits of Entropy Resins, Chris and Trevor jumped in and got Derek and Ryan right into the process, who were the two guys shaping boards. First, they had to decide what style of boards they wanted to shape and pick out the appropriate templates to create the base outline on the blank. Then, Derek and Ryan were methodically guided step-by-step (allowing Derek and Ryan to do 98% of the work) to their finished-shaped boards. Next step was getting them into the glassing room to begin the lamination. While the boys were very hands-on with their creation from the beginning, Chris and Trevor guided them in the right direction and were there to help them along the way. 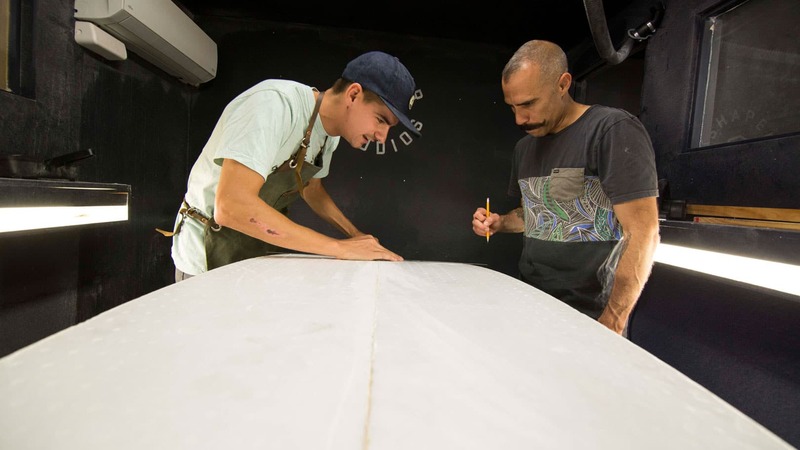 Once the lamination was done, all that was left to do was to wait for the boards to be fully cured, and meet up for a surf to test out their creations. The result? Two fully-customized and sustainable-friendly surfboards which both Derek and Ryan are extremely proud of. 1. 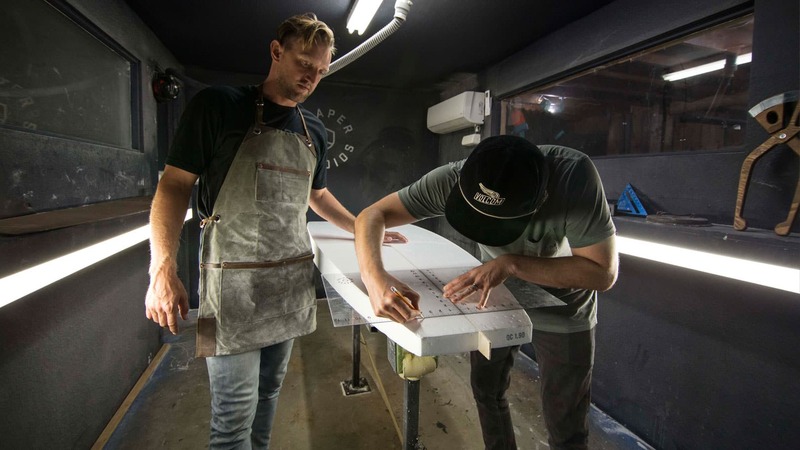 Seeing truly how much work goes into building a sustainable surfboard, this gave both Derek and Ryan a new perspective and appreciation for the craftsmen who do this for a profession. 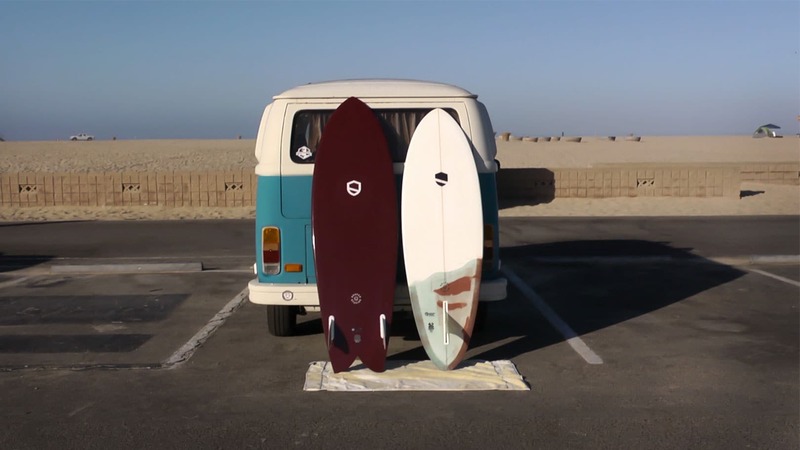 While the prices of these environmentally-friendly surfboards typically have a higher price point than your standard polyester board (given the work involved and cost of materials), they are longer-lasting and safer for the environment. Healthy ingredients for a New Future! 2. Knowing what you created and what you’re using is a sustainable product. There are alternative materials available to tons of different industries that can not only bring a more sustainable solution to manufacturing products, but can also outperform the standard materials currently used in the market. Speaking to the surf industry, this can be applied from manufacturing surfboards, clothing, and hard goods to operating retail spaces, events, and businesses, for example. 3. There is something special about paddling out and catching waves on your own creation. Every detail, every line, every ounce of material under your feet was meticulously placed and is ridden with pride. When you take your surfboard from concept to completion, and are apart of the journey in every step of the way, the appreciation level is unparalleled to any other board you have ever surfed. We’d like to thank everyone involved in the project! Derek Sabori from The Underswell, Ryan Immegart from Volcom, Chris Clark and Trevor Wells from Shaper Studios, Nathan Peracciny and Kyle Toth for helping to tell the story with their camera and editing wizardry, Matt Shuster for last minute surf sesh documentation, Ty Peterson from Marko Foam for the blanks, Torrey Utterback from JPS composites for the fiberglass, and Entropy Resins for allowing me to work for an unbelievable company, pushing the boundaries of sustainable composites and resins.